Rootstock Nordic AB to Salesforce Essentials in Helsinki! 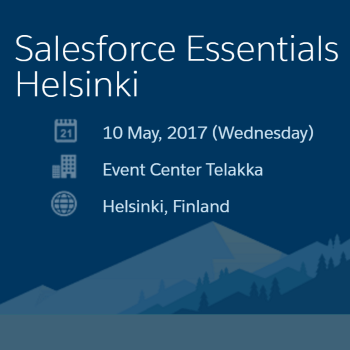 Meet the team behind Rootstock Nordic at Salesforce Essentials in Helsinki 10 of May, 2017 (Wednesday). Follow the link below to register your participation.